More than 4,000 people lined up to purchase a piece of the iconic Houston Astrodome at a sale and auction on Saturday morning.Items such as pieces of AstroTurf and seats were for sale; larger items such as autographed lockers and dugout benches were slated for auction. Once called the “eighth wonder of the world,” the Astrodome was opened in 1965 and was the world’s first multipurpose domed stadium. 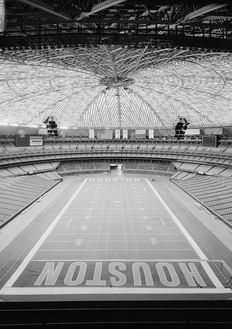 It was previously home to two professional sports teams: the Astros and Oilers. No professional team has played in the dome since 1999 and the space has been closed to events since 2009. On Tuesday, voters will decide whether or not to approve a referendum to turn the Astrodome into a convention center. If the referendum fails, the stadium will likely be razed.